Submitted Photo A group of Valley kindergarteners visited SOMC Hospice to sing Christmas carols and spread holiday cheer. The children, pictured here, sang several different holiday classics during their stay. For more information about SOMC Hospice, visit somc.org/hospice. 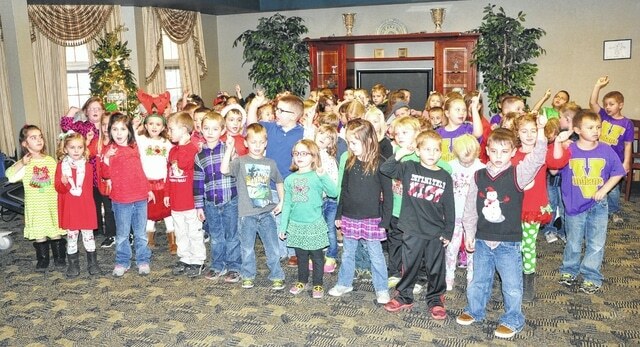 A group of Valley kindergarteners visited SOMC Hospice to sing Christmas carols and spread holiday cheer. The children, pictured here, sang several different holiday classics during their stay. For more information about SOMC Hospice, visit somc.org/hospice.